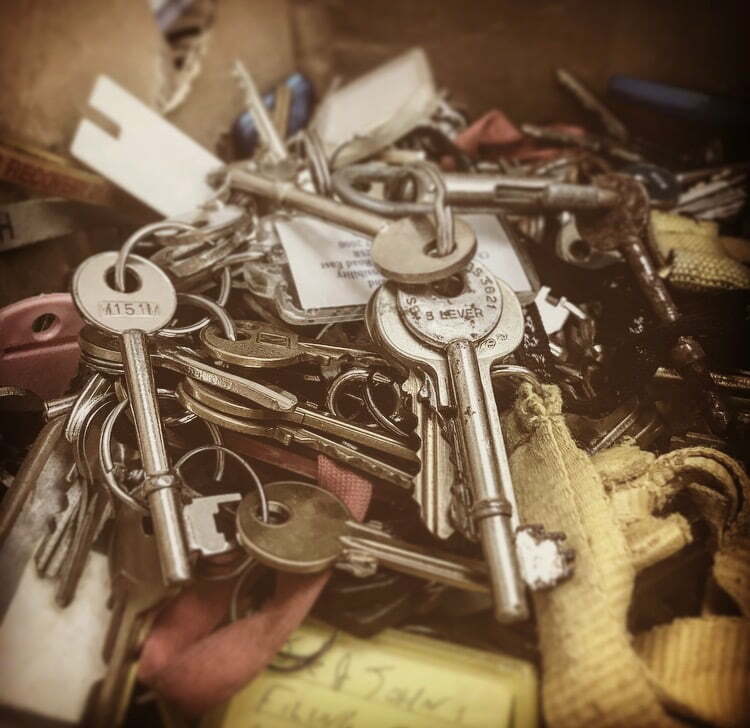 A rather battered cardboard box, sits on a desk, the contents a diverse range from palm to specialist master via unknown types of keys, some labeled, some blank, some on their own, others hooked onto keychains. 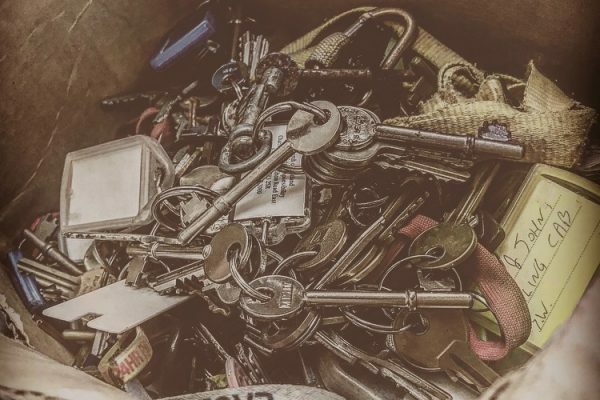 What seems like thousands of keys just lying in this box, some in a state of decay with rust showing for all to see their age, others hardly if ever used, each with its own tale to tell. Who knew a box of keys could be so exciting, yes I’m well aware it’s hardly a white-knuckle ride and Hollywood isn’t quite calling for the Geilsland key story, just yet. 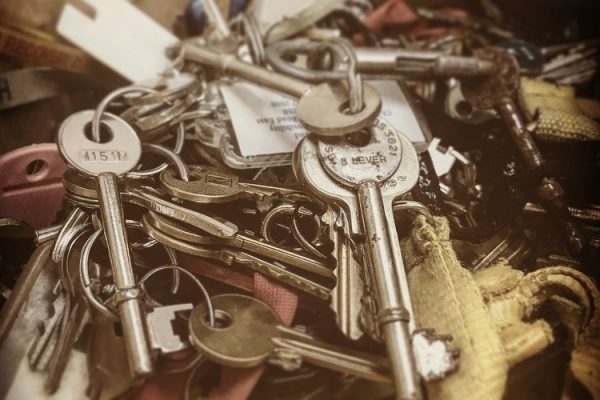 However looking at the variety and touching the keys gives me a connection with past, the kind of connection that you don’t get even from the best History textbooks or TV shows. Holding history in your hands brings, well I like to think, brings us all closer to the former occupants of this campus and reminds us that the present and to a lesser extent the future is shaped by the past. All we have to do now is when the sun and or wind replaces the rain, go forward and key by key discover what keys open what doors, windows, cupboards, drawers and houses or possibly lead to buried treasure, who knows what mysteries these keys could lead to and what doors they could open.